Murray IT Consulting is proud to announce that we are now officially an Authorized DigiCert Partner! What this means for our customers is we can now offer lower cost SSL certificates than before through DigiCert. 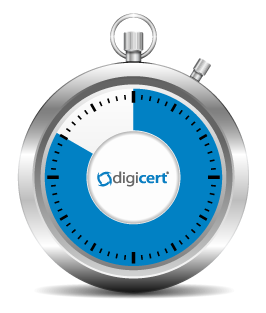 We’ve tested SSL certificates and the purchasing procedure with many vendors before deciding to partner with DigiCert. Their ease of use, widely recognized name, tremendous support and the way they enable IT consultants to provide an excellent experience to their customers was heads and shoulders above the competition. If you or your company has a website, you may be interested in seeing if you can get a better support at a lower price. Contact us today to see how we can help you secure your site.